People always say that international students live wildly. Do crazy parties, excessive drinking and midnight snacks sound familiar? Then you might want to compensate for that by getting fit! Of course, fitness is not only a way of making up for your bad habits, it can just be part of your “hot body”-plan or result from your drive to stay healthy. For whatever reason, if you want to get sporty, we’re proud of you already! As a student, you will find everything that you need to stay in shape for a decent price at your dormitories, but if for any reason you want more, then you have plenty of studios to choose from all with their unique offers and prices! Apart from Fitness, there are obviously numerous other possibilities to get sporty! Did you know that more than half of Vienna consists of parks and green spaces? Vienna offers plenty of recreational opportunities: hiking, jogging, inline skating, ice skating, swimming… you name it! In a city with that many parks and green spaces, running is one of the most popular forms of outdoor sports. Last year, more than 25,000 people from 80 nationalities participated in the Vienna City Marathon, Austria’s biggest running event. Of course, you don’t have to start off immediately with a marathon! At Prater Park or Prater Hauptallee, you will find a bunch of fellow runners, from beginners to pro’s, but obviously there are many other tracks and venues as well. You can also experience Vienna and/or discover its nature at a slower pace. The Schönbrunn Palace Gardens, Danube Canal Promenade, Stadtpark and Türkenschanz Park are ideal if you’re looking for flat routes, while the Vienna Woods are more of challenge due to the ascents and descents. Of course, the signposted running tracks mentioned above are not only great for running, but also for jogging and/or walking. There are 1,200 km of bicycle paths in Vienna for you to discover, from the famous cycling path along the Danube to the Ringstraβe tour… If you’re feeling more adventurous, you should consider mountain biking in Vienna’s woods. In addition to spectacular buildings, perfect for sightseeing, Vienna also offers some excellent swimming pools. Amalienbad with its Art Nouveau and Art Deco elements, for example, is one of the prettiest pools I’ve ever seen. In the same Art Nouveau style there’s also Jörgerbad, the oldest indoor pool in Vienna. Another architectural masterpiece is Stadthallenbad, one of the most popular swimming pools in Vienna. If you’re looking for a little bit more, like massage jets, water canons and whirlpools, you should visit Hütteldorf indoor pool. If you’re looking for a fun experience for kids, try Dianabad. Austria has a lot of mountains, but those are not the only places you could climb. Vienna also offers some excellent indoor climbing facilities. Since 2012, the former post-sorting center transformed into Vienna Boulderbar, a climbing hall with a light and airy ambience. Kletterhalle (“Climbing Hall”) is Austria’s largest climbing hall and offers something for everyone: from beginners to pros. If you want to be outdoors in the fresh air, you could climb on the Flakturm in Esterhazypark, offering a spectacular view over the city, at Pier 9 or in one of the three climbing parks: the Climbing Park Danube Island, the High Wire Climbing Garden at Gänsehäufel or the Kahlenberg Forest Rope Park in Vienna’s woods. It wouldn’t be Austria, if we didn’t mention winter sports! It goes without saying that you’re close to many famous skiing and snowboard areas if you’re living in Vienna. Therefore we will only mention the possibilities in the center of Vienna. Within Vienna’s city center there are many ice skating rinks. From the end of January until the beginning of March, you can skate at Vienna Ice World, located right in front of Vienna’s city hall. But that’s not the only place where you can skate outdoors in Vienna, there is also the Wiener Eislaufverein near the Stadtpark, Eisring Süd, or even the Engelmann artificial ice rink, located on a rooftop! Indoor ice skating is also an option, for example at Eisring Süd, Albert Schultz Eishalle or Wiener Stadthalle. It is worth mentioning that you could go curling at Vienna Ice World, the Badeschiff and maybe even at the Museumsquartier, if you’re lucky ;). It might come as a surprise, but you can even go tobogganing on several meadows in the center if there’s sufficient snowfall. But even if there’s not enough snow, not all hope is lost! When the temperatures drop below -2° C, the Prater’s Jesuitenwiese meadow always gets transformed into a toboggan run with artificial snow. The same goes for Kaffeehausberg in the Danube Park. Combining social contacts and sports has never been easier than when joining a sports club. Furthermore, it is definitely more motivating to do sports if you’re not alone. You’re in this together! You can join an American Football team or its cheerleading squad. Vienna houses the Vienna Vikings, the Danube Dragons or the Vikings Ladies. Acrobatics are practiced at Sportunion Döbling. At Sportunion Döbling you can also find a badminton team, as well as at Sportunion Donaufeld, Sportunion PRA, Union Aktiv Brigittenau, Union Rot-Weiβ, WAT 11, WAT Favoriten, and WAT Liesing. In addition, there is Wiener Badminton Verband, WAT Badminton Hernals and BC Donaustadt. Vienna’s baseball or softball teams are the Vienna Lawnmowers and the Wanderers. If you want to play basketball, you can find likeminded people at Wiener Basketballverband, the Danube City Timberwolves, the Flying Foxes or the Basket Flames. Different sports unions also offer basketall, including Sportunion Döbling, Union West-Wien and the Jewish S.C. Hakoah. You can improve your dancing skills at Aktiv TSC Tanzsportclub, Perform, Triple*G Hip-Hop Tanzsportverein or Wiener TanzSport-Verband. Vienna’s ice hockey teams are called EC Chiefs, EHC Vienna Flyers (women), EHV Sabres (women), KSV EC Flowers, the Vienna Capitals and Wiener Eislöwen. For figure skating, google Eislaufverband Wien. The different clubs are listed under Wiener Vereine. Vienna also offers many possibilities to practice martial arts. You can for example go boxing at Center Florisdorf, practice Hap Ki Do at BBSV Wien or Kampfkunstschule Dojang. There you could also learn Jiu Jitsu, for instance. Judo is found at several places across the city, for example at Judo Club DSG Wien, Sportunion Döbling or Union West-Wien. There are also other centers, specialized in martial arts, such as Center 6, Kampfkunstforum, and clubs like ICAMA, Song Shan, Kenshikan, Mudokwan etc. If you are into swimming there are also different options. 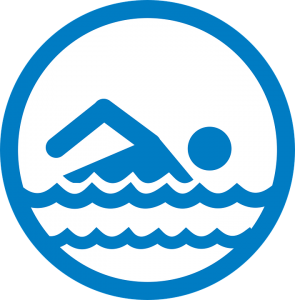 You can join ASV Wien, Erster Wiener Donau Schwimm Club 1903, Landesschwimmverband Wien, Österreichischer Schwimmverband (OSV), RUSH Swimming, S.C. Hakoah, Schwimmklub im Theresianum, Vienna Aquatic SC or Wasser-Rettung Landesverband Wien. Or maybe you prefer to play tennis? Altmannsdorfer TC, Florisdorfer Turnverein, Postsportverein Wien, S.C. Hakoah, Sportunion West-Wien, Turnverein Kagran or Wiener Tennisverband are your clubs! Now go get out there!